The DELENEX AD shine additive for extreme hard water is an additive for rinsing water in dishwashers and automatic machines. It is special for hard or very hard waters in professional hygiene. This shine additive for very hard water dries fast and shiny, and prevents the formation of films and hard water spots in objects. Due to its special formulation, it prevents incrustations in the dishwasher's rinsing circuit. 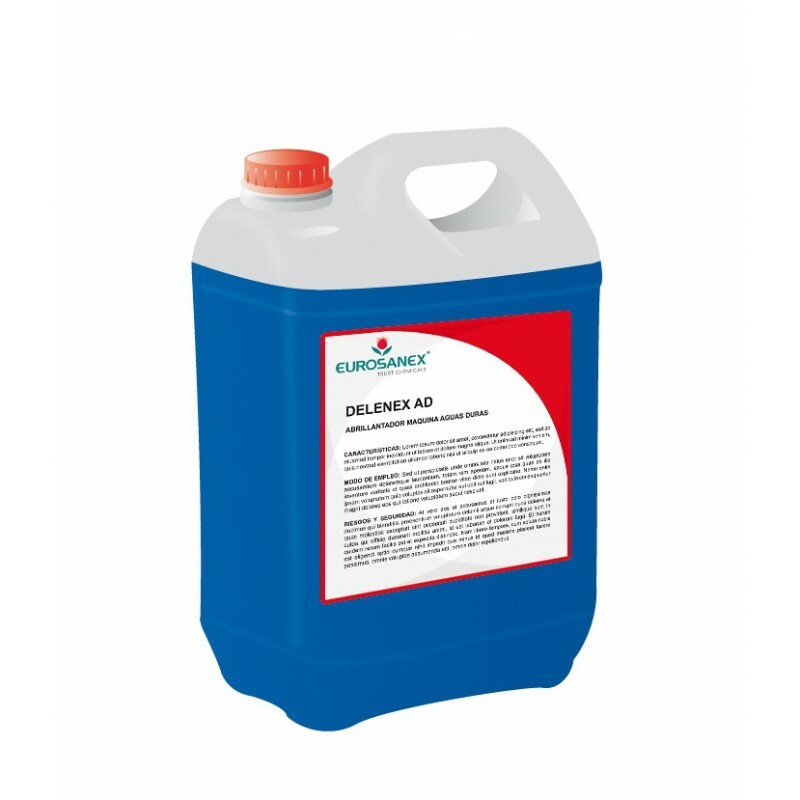 It is specially created to be used with the dishwasher detergents DELENEX DR and DELENEX MD.